Instructions: Click here to view a larger photo this project. It's a medium size embroidery hoop that has been altered. To create the base, cover the entire hoop using baker's twine using some tacky glue. Take any pattern paper from the paper collection and prep the base by applying some gesso. 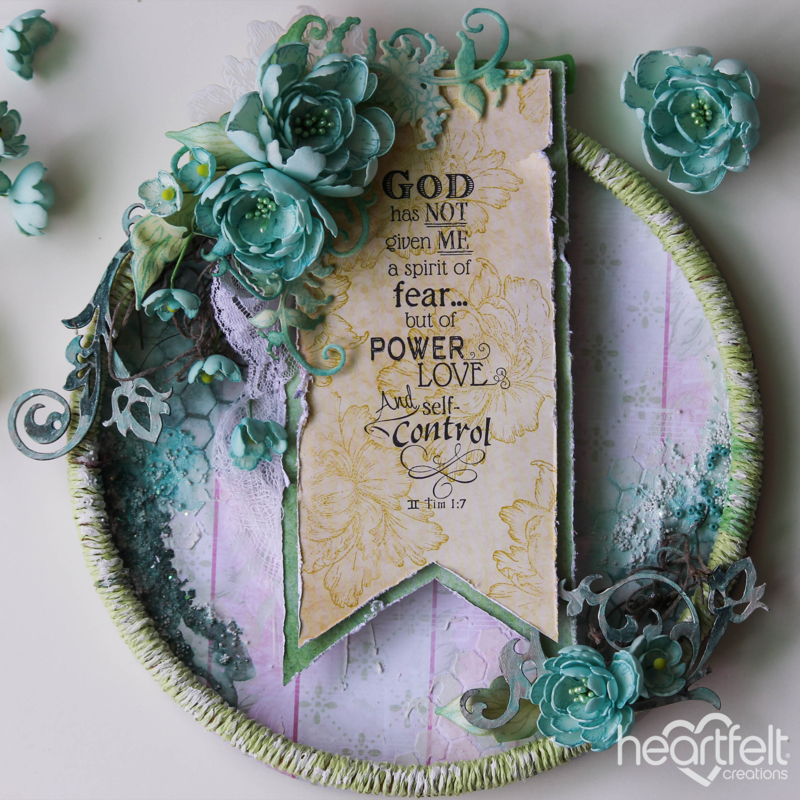 Take a stencil and then apply some texture paste at random corners. Sprinkle water base spray paint, art stones, and some crystal clear. Heat set at every layer before applying the next. Once all layers are dried add some beads and art stones. Once the base is ready stick the paper to the base of the hoop which will form the surface on which we can start layering the projects. Cut two fish tail banners measuring at 3"x 1.5" and another at 1/8" less than the base one. Distress the edges and on the front pattern banners stamps some images of the peonies with mustard distress ink. On the front banner stamp the sentiment from the words of encouragement set using black archival ink. Place the banners on a foam adhesive and then place it on more foam adhesive at the center of the hoop. 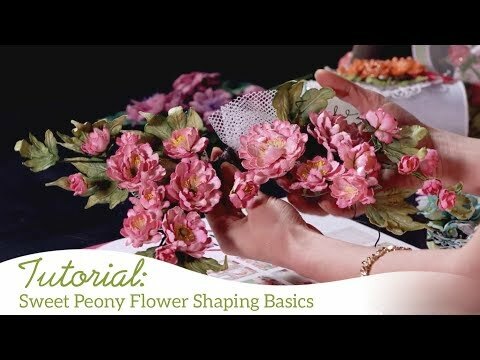 To create the flowers, stamp and die cut several pieces of the small and large peonies from the art foam and then shape them by pressing against any heat tool. Pierce a hole at the center and then place the flower stamens and set it using any tacky glue. For the leaves using leaf green archival ink and then shape the leaves also similar way. Once all flowers and leaves are made start assembling them around the banners and also create the base using some dry ferns, lace and also some wooden chippies colored and embossed. Once all assembled add some glitter and some more glitter spray paint at the end.